Significantly 60% say they feel their employer has lost its social purpose. “Housing associations spend too much time congratulating themselves and trying to convince the general public of our worth, and not enough time helping the people we were set up to help,” said one professional. This fits with our experience in the Unite housing branch – and we are fighting back. In our most recent surveys 89% of staff at One Housing Group worked over their contractual hours while over 60% worked over their contractual hours at Peabody. At Catalyst Unite members have voted for industrial action in response to staff cut; the number of Neighbourhood managers is being halved. Catalyst boasts that its £53million surplus last year was bigger than big names in the private sector such as Greggs the bakers or Foxtons the estate agents. Housing CEOs are fond of quoting figures like this when talking at corporate events but then plead poverty when justifying cuts to their hard pressed staff, not to mention tenants and service users. At St Mungos members are also fighting drastic reductions in staffing. The Guardian quotes a respondent saying that commercially driven board members, with little understanding of the sector, were trying to drive their organisation down a route that took too little account of existing tenants. Another is quoted as saying that their organisation now focuses more on rent collection and bringing money in, rather than support for tenants, and another says “In an effort to streamline and cut costs, there is less assistance and less account taken of people who are vulnerable”. Unite reps will want to take up workload and stress issues with management. 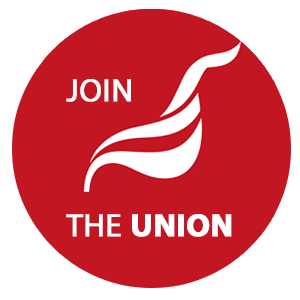 Keep in touch with the branch if you are a rep; talk to your rep if you are a member and join Unite if you are not yet a member.